Interior room with all the design and period interior. These rooms offer an atmosphere of warmth and comfort, ideal for single travelers or young couples looking for a value option at a more reasonable price. 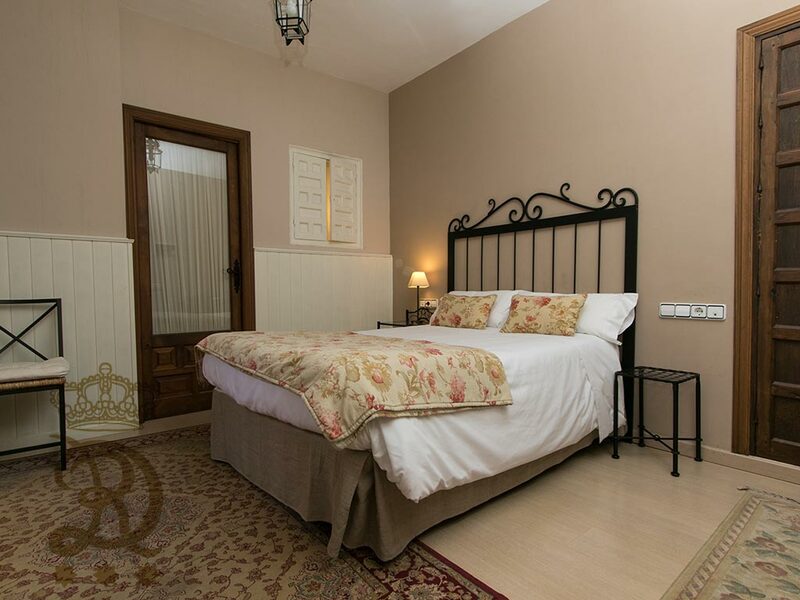 Retaining the identity of the rooms of traditional Sevillian buildings, all our double rooms are unique and different. Elements of its origin are conserved like balconies, shutters, coffered ceilings and other elements, offering to our clients a unique sensation. Elegant rooms, mix of styles and design that take you to another era. Some of these rooms may accommodate an extra bed. Deluxe rooms are the most requested by our guests. 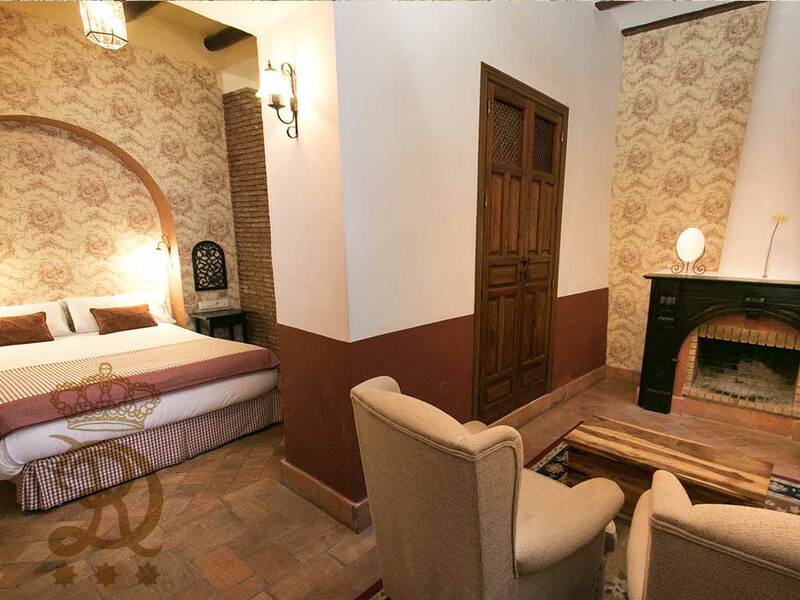 Rooms very spacious and full of light, offering you an unforgettable experience in the heart of the historic center. Keeping our unique style and respecting the structure of the house, all our Deluxe rooms have different characteristics. Surely in each of your visits you will have different sensations. 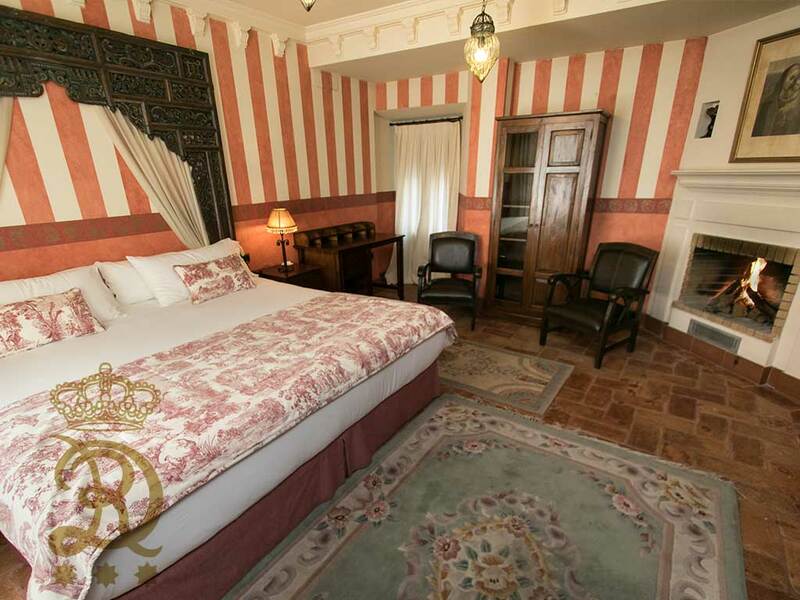 True to the hotel's original design, they are furnished in Castilian, Moorish or Andalusian style. 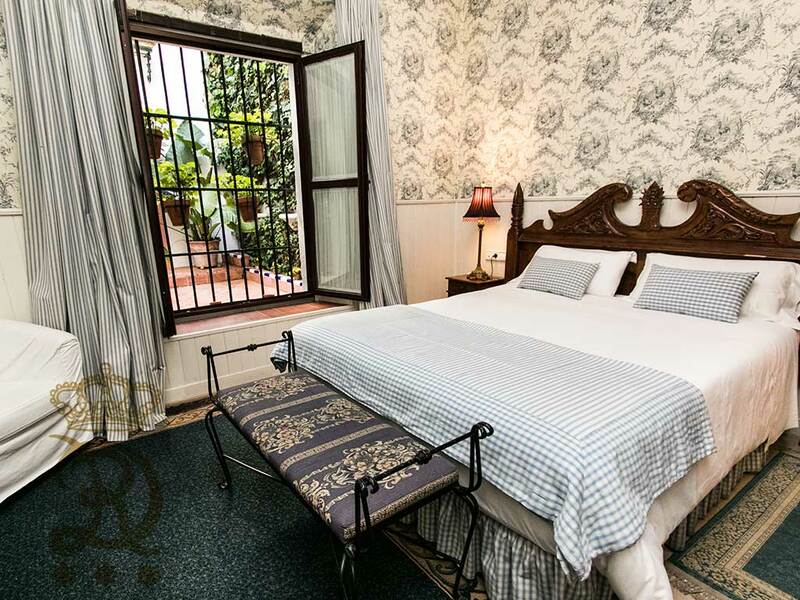 They have abundant natural light, overlooking the Sevillian patio of the hotel and ensure a serene sleep. The fireplace in front of the bed make these rooms a unique experience.